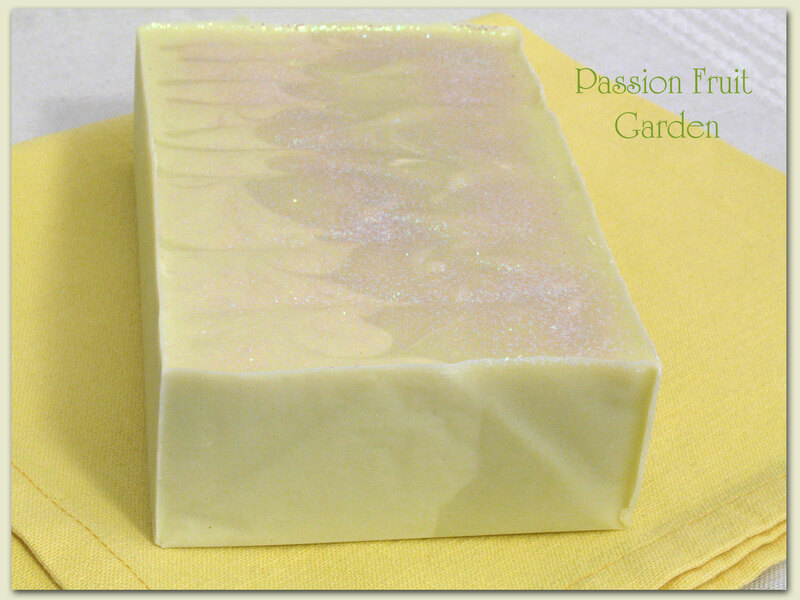 I have said it before, and I will say it again, “Making soap is so much fun.” It is just like cooking, but better! It is a great hobby for you can start without having to go out and buy lots of stuff. I made my first batch on a whim when I was in Bridgetown and was able to buy everything I needed locally. And, even on your first try, if you the follow instructions carefully, you are sure to end up with some perfectly usable soap. 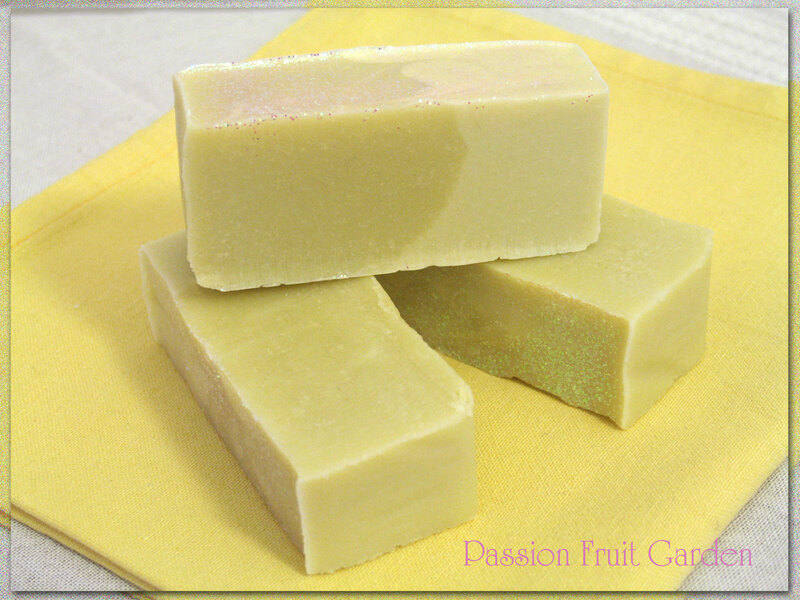 Your first effort should be plain, with no colour and no fragrance so you understand how the batter should work but, before long, you are sure to want to add colour and fragrance to your soap. This is where things get exciting. 1. Some things will always be brown. As I have mentioned before, after my initial two batches with no fragrances, I quickly learned that people expect soap to smell nice. The first thing people do is put soap up to their nose. Each time they did it, I had to very apologetically explain that they were fragrance-free. Before long, I was on-line buying soap fragrances. I bought three large bottles of the most wonderful sounding fragrances – Bramble Berry’s Arabian Spice, Chocolate Italian Spice and Turkish Mocha. Oooh, they sounded so good and smelled even better BUT … they all contained vanilla and it wasn’t long before I realised vanilla in a fragrance will discolour your soap. All my next batches were brown! Arabian Spice is on the left (with olive leaf powder) and Chocolate Italian Spice is on the right. 2. Some colourants fade or do a turnabout. I made my parsley leaf soap in June. It started off this lovely lemony colour (left). After a while, the colour firmed up (below left). I began to think it would get too dark but now the colour has all but gone (above). It does have a slight lemon tinge as compared to uncoloured soap, which is more like cream, but that is all. If you are going to use natural colourants, expect that sometimes strange things will happen. 3. Some fragances behave badly. After my all-brown stage, I again went on-line to buy more fragrances. This time, I bought small bottles – I was getting wiser. I read the description very carefully and only bought ones without vanilla. I didn’t worry about whether they sounded wonderful. I was only interested in ones that didn’t discolour the soap. But fragrances can behave badly in more than one way. One of the fragrances I bought was Lilac. If only I had read the reviews. Fragrances can accelerate trace and rice. Lilac, I soon realised, does both. I had decided to make some little guests soaps for Bridgetown (top photo) and make a bar of white soap ebbed with a coloured tube. My plan for this day was to make two tubes of coloured soap (one for the guest bars and the other to be embedded). 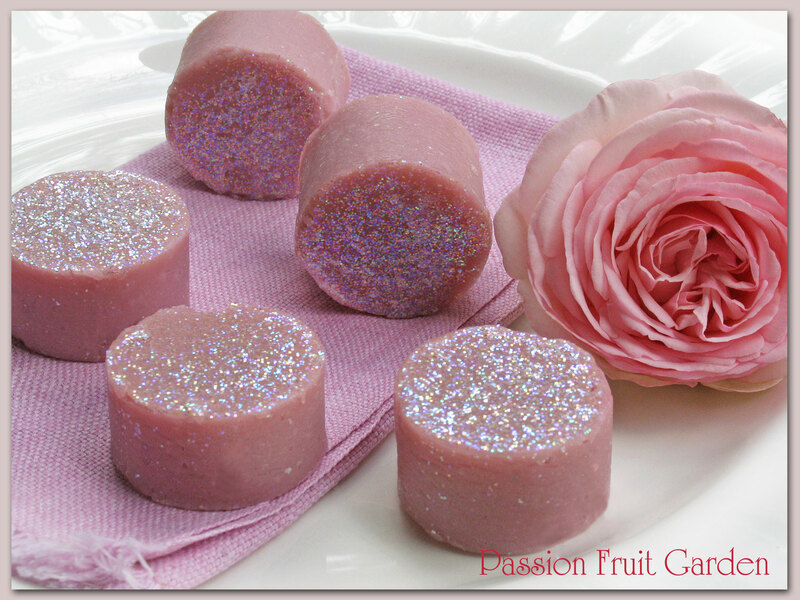 I thought I would go for plain pink for the guest soap and a pink and mauve swirl for the embedded soap. I divided the batter in two and coloured each half. I added the Lilac fragrance to both containers. Things then went crazy. The pink container instantly riced, that is, the mixture separated much like when milk solids separate from whey in cheese making. I had been reading up on Lilac and knew to blend it like crazy to get it to recombine, which saved the day. I then tried to shove the mixture into the prepared tube but, by this time, it was so thick I could hardly get it in. I decided to check on the mauve half. It had, virtually, solidified in the jug. Luckily, I had a mould lined with baking paper from a previous batch. As best I could, I plonked the solid batter into it. I pushed down as hard as I could but there was no way that soap was moving. The bottom was all holey and uneven. Above is my mauve and pink soap which was going to be poured into a tube and swirled. This was as good as I could do (strategic placing has hidden a lot of sins). And some times, but not very often, they work out just how you planned. So if you are going to buy fragrance oils, go to Bramble Berry’s web site and read the description and the reviews carefully. If you are a beginner, avoid fragrances that discolour, accelerate trace or rice. For your first few tries with fragrances, pick one that does none of these. One I can highly recommend is black tea. It smells great and did not misbehave at all. My next piece of advice is to wear gloves. I know every book has detailed safety directions but, if you are like me, you are sure to ignore most of it. If you do nothing else, wear gloves. When my batter solidified in the jug, I tried to scrape it out with a spatula but ended up with batter everywhere, including me. Luckily, Maus had bought me a box of disposable gloves and I was wearing a pair. It would have been a disaster had I not. BTW, bling makes even rough soaps look good. I have bought lots of sparkling mica. After you sprinkle the mica on your soap, spray it with hair spray. It will really stick. 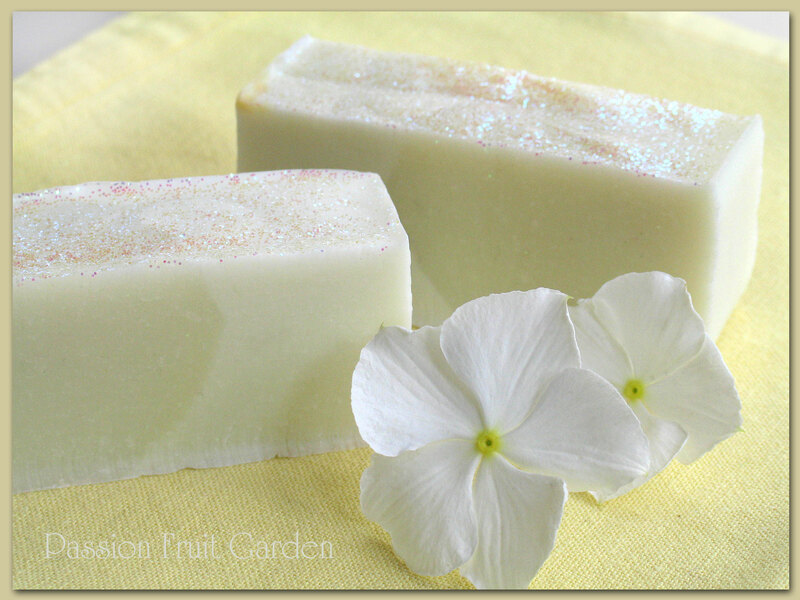 This entry was posted in Soap making and tagged Basic soap making, Natural colourants for soap, Ricing, Soap discolouration from fragrances, Soap fragrances accelerating trace, Soap making for beginners, Using parsley powder to colour soap by Glenda. Bookmark the permalink. I do love a blog that tells the truth and doesn’t just post photos of wonderful successes as if that happens all the time. I’ve made a few batches of soap but it lasts so long – I am English after all 🙂 that I’ve forgotten all I learnt each time. Haven’t tried fragrance yet, but armed with this advice at least I know what might happen. Anne, I make very small batches. That way you can experiment without having 20 cakes of the same, not so good, soap. Most of what I have made so far is not really good enough to give away so Maus and I have to use it all. I’ve always wanted to learn how to make soap. It sounds so down to Earthy. 🙂 All your soaps look lovely to me, in spite of what you say is wrong. I like the brown ones. Hi Elizabeth, All my other soap posts include the recipe. 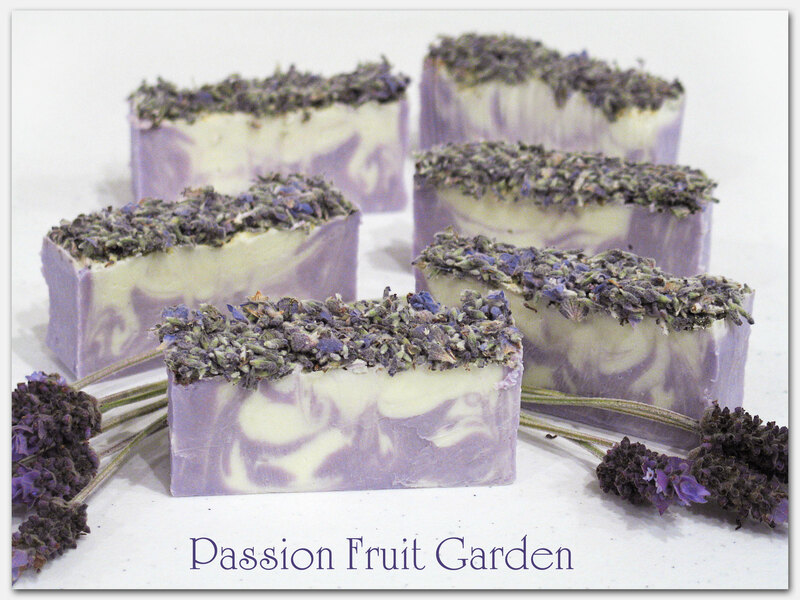 I have the one for the lavender soap but it is in Perth. If you are interested, I can give it to you next weekend. You don’t want the one for the pink and mauve soap. That was a disaster. Really, if you would like the lavender recipe, I am more than happy to send it to you. Brilliant Glenda. I love your swirled soap. It was years before I plucked up the courage to try swirling so to kudos to you. Trust me, the more you make the more often they will turn out as planned. Apparently if you get really bad soap on a stick you can just leave it to gel in the pot then scrape it out at that stage. I have never tried it but others swear by it. 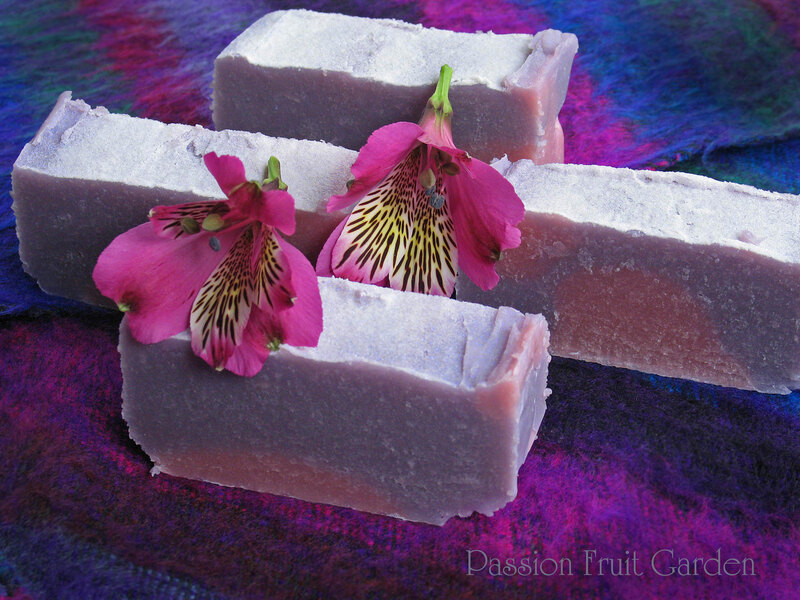 You can also try soaping a little cooler if you know you are using a tricky fragrance. This can stop the soap moving so fast, which can at least let you get it in the mould. I never plan anything fancy for a tricky fragrance because I am always disappointed. I look forward to seeing your next soaps. You are inspiring me. I might have to break out the soap pots. Hi Tania, I also used palm kernel oil which I later read also accelerates trace. I don’t really understand the gel advice, will it get softer? If I had not spent so much time trying to get the pink batter in the tube, I probably would have been able to get the mauve in the mould but my original plan was to put all the batter in tubes so I wasn’t really ready for what happened – Lilac certainly is not worth the effort. Nice one! Peter has been talking about making soap for ages. I’ve sent this post to him, Glenda. Liz, it is so much fun. I am fascinated. A whole world of making out there of which I know nothing. 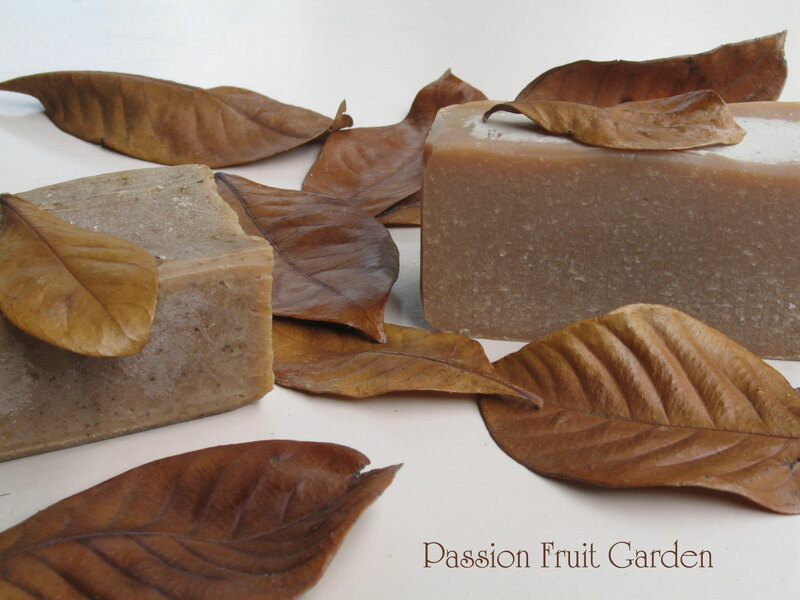 I really like brown looking spicy soaps. Brown spicy soaps are easy to make just add Arabian spice fragrance to any batter. The specs are from the olive leaf powder. You could add cinnamon for a more chocolate brown look. I just live your soaps Glenda – all of them even your chocolate ones have such a nice rich looking texture to them. Of course the first and last are absolutely beautiful. I guess soaps have come a very long way from when my grandmother used to make lye soap. Now that would remove any dirt as well as a few layers of skin. Do you find that guests shy away from using the soaps so as not to mess them up, even if you tell them that they’re for use? I think your fragrance free soaps would be very popular over here since a lot of people are convinced that they’re allergic to everything under the sun. All doctors offices now have signs up that ‘due to sensitivities’ no one is allowed to were perfume or any fragrance there. Makes you kind of want to not shower before your appointment and see how they feel about that.